DEADLINE: February 1, 2017Joan Grenier-Winther is Professor of French Language and Culture at Washington State University Vancouver, WA, and served as Executive Director of the Rocky Mountain Modern Language Association from 1998 to 2012. 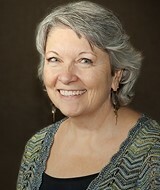 During her tenure, RMMLA grew significantly in number of members and prestige as one of the six regional divisions of the Modern Language Association. For her service to the RMMLA and her support of scholarship in French Studies, particularly at the yearly conventions, the Executive Board established in 2015 the "Joan Grenier-Winther Award for Best Conference Presentation in French Studies." The Joan Grenier-Winther Award carries a $250 prize. The Nomination for this award does not include self-nominations. The process is similar to the "Charles Davis Award for Convention Presentations", since nominations must be made by the Chair of the Session in which the presentation was given. Chairs of all French sessions at the convention make the nomination directly to the Executive Director. Session chairs should include the following in their nomination: Title of presentation, Name of presenter, Name of session. Any presenter in a French Studies session is eligible for nomination by the Session Chair—this includes faculty, independent scholars and graduate students. Only one nominee per session can be submitted. Nominations must be received by November 1st. Application Deadline: February 1st. Award Announcement: March 1st. The Joan Grenier-Winther Award Selection Committee is made up of three RMMLA members. Selection of award recipients is based first on the completeness of the application, followed by a ranking based on five criteria: originality of research; scholarly context (reference to current research on topic); mechanics and style; coherent thesis statement; and contribution to scholarship in the field of French Studies. The award will be announced by March 1st. Nominations and supporting materials (in pdf format) should be sent electronically to Executive Director Joy Landeira ([email protected]). RMMLA Executive Board reserves the right to vacate the award in any year that sufficient quantity or quality of submissions is not received by the announced deadline. The Executive Board’s decision will be announced on the website. After the initial acknowledgement of submission, correspondence is not maintained with applicants throughout the process. All application materials must be received by midnight Rocky Mountain time on the date of the deadline. Announced deadlines will not be extended.